You dream of green living. We can imagine in color. Let us inspire you! Our work typically follows a three part process: Schematic Design, Landscape Plans and Details, Bid and Construction Administration. We would be glad to meet you for a free on-site consultation. Posted	 2:36 am by	tonyfigoli	& filed under . Fir trees tower and statues stand guard over this well-balanced garden. The center circle design was conceived with an aerial perspective in mind. The owners of this garden enjoy the simple plan and clean lines of the design from the deck above. 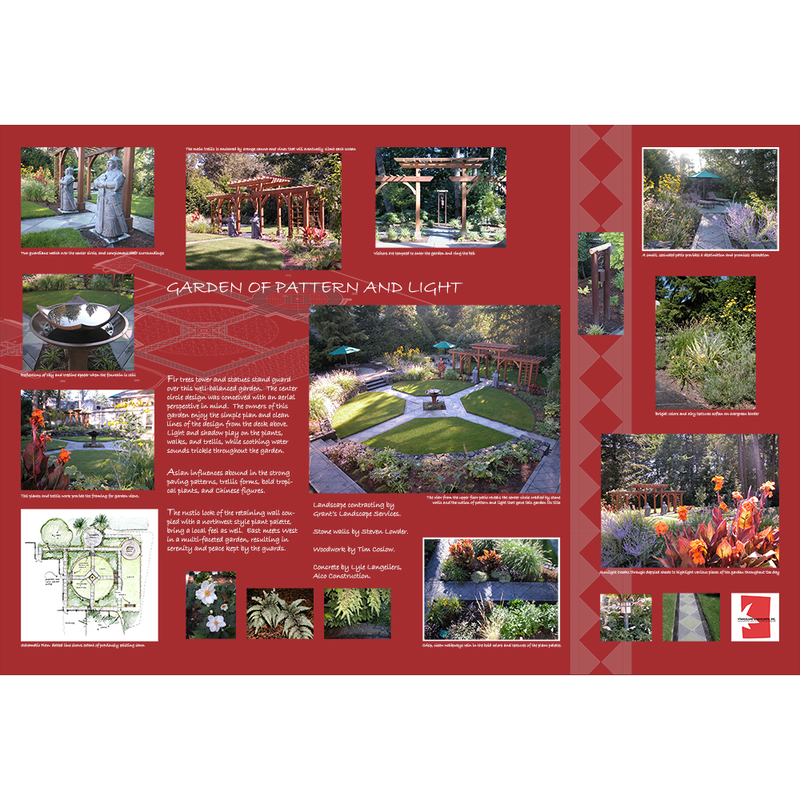 Light and shadow play on the plants, walks, and trellis, while soothing water sounds trickle throughout the garden. Asian influences abound in the strong paving patterns, trellis forms, bold tropical plants, and Chinese figures. The rustic look of the retaining wall coupled with a northwest style plant palette, bring a local feel as well. East meets West in a multi-faceted garden, resulting in serenity and peace kept by the guards. © Stangeland & Associates. All rights reserved.